Governor Godwin Obaseki of Edo on Thursday inaugurated an ad hoc committee under the Agriculture Empowerment Initiative to revamp agriculture in the state. 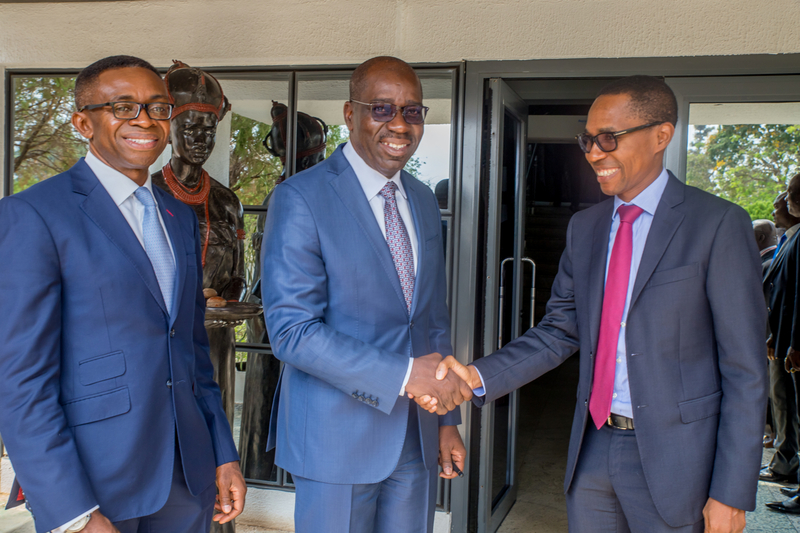 Obaseki, while inaugurating the committee at the Government House in Benin, said that the ad hoc committee was to kick-start reforms in the agricultural sector of the state before a full committee would be formed. The committee is a product of the Public Private Partnership between the State and private sector partners. The partnership between the state government and private sectors comprises Saro AgroSciences, a leading company in the agribusiness space of Nigeria with expertise in crop production and protection and Afrinvest W.A. Ltd a leading financial advisory service provider in Nigeria and West Africa. Governor Obaseki explained that the ad hoc committee would help the government implement specific projects, which would create between 50,000 to 80,000 agricultural jobs before the end of the year in five Local Government Areas. Revealing the mandates of the ad hoc committee, Obaseki said, “We want to ensure that we begin some agricultural activities before the next cropping season. We want to cultivate 5,000 hectares of maize located in 5 Local Government Areas of the State producing at least 25,000 metric tons of maize in the first year. Besides, there would be another 1,000 Greenhouse Farm producing 4,000 metric tons of tomatoes yearly, piggery producing 30,000 animals annually, Golden Cocoa Program primed to turn the State into a major cocoa producing state in the country by improving yield by more than 50% in the first year of implementation. The Governor said the partnership will achieve the following objectives through the 4 projects: Generation of employment for the teeming youth population of the State, wealth creation through agricultural activities that will lead to the creation of 2000 millionaire Agripreneurs who will in turn generate jobs for at least 30,000 youths across each units of the state and food security for the over 4million people of the State. He added that the Ministry of Agriculture would serve as the secretariat while the Secretary to the State Government would give the committee the necessary support, while the committee will, on a weekly basis, submit reports on the level of progress being made. In his remarks, the chairman of the ad hoc committee, Chief Osaro Idah, commended the governor for the opportunity to serve. He assured the governor of the committee’s commitment to achieve its mandate of employment creation and increased agricultural productivity in the state. Other members of the eight-man committee include Oluwole Adeyegbe as Deputy Chairman, Mr. B. S. Kadiri as Secretary, and Dr. Tunde Faturoti, Mr Olumide Ogunedojutimi, Mr Walter Obaseki, Surveyor Godwin Osayande and Mr Victor Ndakauba as members.